Click on the appropriate tab below to see the Renewal Requirements, Process, Fees and Continuing Education (CE) for a Licensed Practical Nurse. 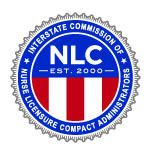 Licensed Practical Nurses (LPN) are renewed by the department; current licenses will expire at midnight, Eastern Standard Time, on July 31, 2019. Licensees requesting to reactivate their license from inactive or retired status are required to pay additional fees and comply with specific continuing education requirements. Please contact the board office at MQA.NursingAppstatus@flhealth.gov to request your reactivation requirements. Licensees who fail to meet these requirements must reapply for licensure and comply with current laws and rules. Licensees who have become Null and Void or elected to Voluntarily Relinquish their LPN license must reapply for licensure and meet current requirements. 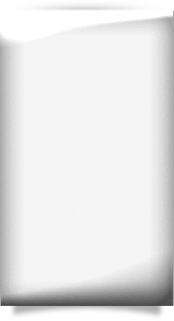 If you volunteer your services to the medically indigent residents of Florida with incomes at or below 200% of the Federal Poverty Level, you may be eligible for a waiver of your biennial renewal fee and some of the continuing education hours (no more than 25%) required for license renewal; however, the continuing education requirements for domestic violence, HIV and AIDS, and medical errors cannot be waived. If you are renewing your license after the expiration date and your status still indicates Clear/Active or Clear/Inactive, you will be assessed a delinquency fee. The delinquency fee will be in addition to your renewal fees. If your license was Delinquent/Active or Delinquent/Inactive before the renewal deadline, it will be moved to Null and Void status after the renewal deadline. You should contact your board office for further instruction. If you are reactivating your license, please refer to the laws and rules governing your practice for additional requirements. 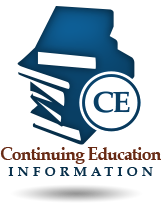 Note: Do not submit certificates of completion of continuing education hours to the Florida Board of Nursing. Please report continuing education credits to the Department of Health through our CE tracking system at www.cebroker.com. Any one of these will be accepted unless the department has a question about the authenticity of the document. NOTE: Please allow 5-7 business days for your request to be processed. If you are requesting a name change outside of renewal and wish to receive a new license reflecting the name change, you must request a duplicate license and pay the $25.00 fee. *Pursuant to s. 456.065(3), Florida Statutes, a $5 fee to fund efforts to combat unlicensed activity will be assessed of each licensee upon initial licensure and at each renewal. This fee is included in the renewal fee. *Pursuant to s. 1009.66(6), Florida Statutes, a $5 fee to carry out the provisions of the Nursing Student Loan Forgiveness Program will be assessed at renewal and is included in the renewal fee. Please note: The CE exemption based on certification does not apply to the 2 hr Human Trafficking course requirement. *Please note: All mandatory courses must be offered by a Florida Board of Nursing approved provider, with the exception of the 2 hour Human Trafficking course. All courses can be live or home study. General Hours 16 Must be approved by a state or national organization empowered to accredit nursing continuing education. Prevention of Medical Errors 2 Must be board approved. Approved courses are listed at cebroker.com. Florida Laws & Rules 2 Must be board approved. Approved courses are listed at cebroker.com. Recognizing Impairment in the Workplace 2 Must be board approved. Approved courses are listed at cebroker.com. 2 hour course completion is required upon initial licensure. Afterwards, licensees are required to complete the Recognition of Impairment in the Workplace every other renewal). Human Trafficking 2 This course does not have to be a Florida Board of Nursing approved course. The course must meet criteria outlined in S. 464.013, F. S. (Became effective October 1, 2017, licensees expiring after January 1, 2019 are required to complete the Human Trafficking course every renewal/biennium). Domestic Violence 2 Must be board approved. Approved courses are listed at cebroker.com. Domestic Violence is required every third biennium and the hours are in addition to the 24 hours required for renewal. HIV/AIDS 1 Must be board approved. Approved courses are listed at cebroker.com. HIV/AIDS is a one-time requirement prior to the first renewal. First Biennium Renewal: LPNs and RNs initially licensed by examination during the current biennium are exempt from the general CEU requirements for the first renewal. Those licensees must complete 2 hours of Medical Error, 2 hours in Florida laws and rules, 2 hours of Recognizing Impairment in the Workplace, 2 hours of Human Trafficking and 1 hour of HIV/AIDS. LPNs and RNs initially licensed by endorsement during the current biennium and took the exam in another state within the biennium are exempt from general CEU hours. Those licensees must complete 2 hours of Medical Error, 2 hours in Florida laws and rules, 2 hours of Recognizing Impairment in the Workplace, Human Trafficking and 1 hour of HIV/AIDS. Initial licenses that were issued for less than 24 months are required to complete 1 hour for each month that the license was valid for; these hours must include the required course hours listed above. First licenses are not generally valid for a full two years.